Please see below some of the most common questions we are asked. If we don’t answer your query below, please contact us. Does the guide take us into attractions? Yes, whenever possible we will show you into and around attractions and monuments. Some attractions do not allow this, such as The Royal Yacht Britannia who offer their own excellent audio guide. Will other people join the tour? No, all of our tours are private so your party will be the only people on the tour. How do I contact my guide on the day? You will be provided with the mobile phone number and email address of your guide when you have booked. Note that before your tour day you might not get an immediate response if we are on another tour. Yes, a 20% non refundable deposit is required to secure the booking. We can build a lunch stop in at one of the lovely restaurants or cafes along our tour route, or we can arrange for a picnic style lunch to be brought on tour. To maximise time we choose establishments that offer a quick turnaround time. All tours are conducted in English. If you would like a translator this can be provided. A typical day tour starts at 9am and finishes at 5pm. A half day tour runs either between 9am and 1pm or 1pm and 5pm. An evening tour runs between 6pm and 9pm. Every tour is different and if your schedule requires it we are able to be as flexible as we can be. If you have booked a multi-day tour then the evenings are your own to explore the local area and enjoy some good fare! We can make recommendations for were to eat in each village, town or city. The total price of your tour includes your tour guide, use of our luxury minivans, the fuel, tolls and parking charges and insurances. Complimentary bottled Scottish water is provided for all guests. Each tour is different so we quote per tour request. A typical day tour is between £80 – £90 per guest, a half day or evening tour is typically £50 – £60 per guest depending on group size.  All tours are priced and paid in Pounds Sterling (GBP). See the pricing page. Are you a chauffeur service? No! Our emphasis is on the touring and service element and whilst we use premium vehicles we aren’t just drivers. Support animals are welcome onboard however we typically ask for them to stay on the floor of the vehicle. Yes, our vehicle can accommodate most mobility scoters. They normally require two people to lift in and out of the vehicle so one of your party will be needed to help. Note that if there is a scooter then the baggage space is limited. Can children come on tour? Yes of course! We can also provide car seats for children or you are welcome to bring your own. Our vehicles offer ISO Fix connectors for compatible child seats. Please note that children under 135cm or 12 years old (whichever is first) must be in a car seat according to UK law. Yes, we can pick you up from your hotel or accommodation. In some instances parking in the city centre is restricted so there might be a short walk to your vehicle, but the guide will ensure you are aware of this. Alexander is the main tour guide and owner of the business. He is a passionate tour guide born and bread in Scotland and lives in Edinburgh. When Alexander is not available we use a small panel of vetted and experienced tour guides. If this is the case for your tour you will be advised during the booking process. How many people can go on tour? Our vehicles can accommodate up to 7 guests in comfortable surroundings. If you require a larger vehicle we can bring that in for you. We use Mercedes-Benz V Class minivans. They are very comfortable and safe vehicles with a Euro N-Cap rating of 5 stars. They come with privacy glass, leather seats and dual-zone air conditioning. Learn more about our vehicles. We offer comprehensive Public Liability insurance (£5 million) and commercial vehicle insurance on every tour by default.